A few weeks ago I wrote about what I payed attention to in class other than class. I’m still grappling what I was writing about then (more on this below) but the other day I gained some insight that helped me adjust my perspective. I’m taking a great elective course (outside my program) called Gender, Liberalism, and Postcolonial Theory. Almost always the course content and discussions each week feel over my head and leave me asking more and more questions. Recently the text Cruel Optimism by L. Berlant came up in conversation (confession: I haven’t read this piece). A common critique of this piece is that this white, female, western author did not do much to address and attend to race or African American scholarship in the context of her work. My professor’s response to this comment seemed just so correct. She asked, “how could we expect her to? Those authors and experiences are not what informed her subjectivity and influenced her world view. And in fact, I bet if she did cite African American scholarship she would have been criticized for “trying too hard””. This left me distraught thinking “there’s no way to win!” Basically, someone’s always going to have a critique. That realization was both unbelievably frustrating and reassuring. However, it felt like it could only be reassuring if you had a certain threshold of self-confidence already. I understood my professor’s question to mean two things. First, was she saying that eventually we will encounter a time when white people can’t participate in conversations about race? Second, is she suggesting we give a bit of leeway based on her life experiences yet also recognize she still has something to offer to the conversation? So here can we privilege the intentional action of meeting people where they’re at and understanding them based on who they are rather than who they are not? This might look like, “you’re right she can’t speak for the Black experience but her perspective is still valuable for the conversation because of these other reasons” rather than quickly dismissing their opinions because they are void of “lived experience”. The professor asks our class how they would build relationships and trust in a district where they are called upon as Brown University education policy “experts” to consult on a project. A male in the class immediately offers “I’d assert myself and explain my educational background and my credentials and essentially say WHY they should listen to me”. Four men speak after him and then the conversation quickly dissipates. After a few moments of silence, I share my observation that only men spoke up to answer this question and I ask how gender might play into this scenario. I suggest that asserting my “power” or “credentials” may make me seem like a “bossy” woman and an inamicable colleague. Same action. Very different response. Later (outside of class), my classmate counters my contribution. He explains that since he used a woman in his example my critique was unwarranted and I had no place to undermine him. Basically, “[I] could have made my point without challenging him or calling him out”. What did I do in the heat of this moment as I’m being told that humility is a characteristic of the privileged and the elite and that I know nothing of his life or perspectives [imagine a whack-a-mole being hit repeatedly, made to appear smaller and smaller until it disappears into the hole]? I did what any socialized female would do… I APOLOGIZED! I AM SO MAD! I CAN’T BELIEVE I DID THAT. I LET HIM MAKE ME FEEL LIKE I WAS WRONG. I LET HIM WIN. I APOLOGIZED EVEN THOUGH I KNEW I WASN’T WRONG. And then I felt small again. What’s challenging me about all of this, is the cyclical nature of my experiences. I start out feeling great and usually (after I talk myself into it) I’m confident about what I’m going to say in class. BUT the minute I speak and especially the instant I’m met with hostile, seemingly unwarranted, opposition I feel absolutely crushed. [side note: this is different from me not wanting to be corrected and this is different from me not appreciating a challenging conversation across differences] I feel inadequate. I want to take it back. I wish I’d never said it. I apologize often (like before and after I participate) and it’s come to my attention that maybe I’m apologizing to myself for YET AGAIN putting myself in this difficult place. Impostor syndrome overwhelms me daily and I the rhetoric of “I’m not deserving, qualified, or intelligent enough for this opportunity” screams in my head. I can’t silence it. And I’m just so confused and defeated trying relentlessly to reconcile these new insights and keep an open mind when I’m bombarded with these constant, upsetting experiences. Finally posting this after days of allowing my words to linger in “drafts”. I saw these two quotes as I was unwinding from an incredibly long, anxiety filled day. This just feels right. I took a break this week from writing because life got “too real”, and really hard, for a while and I didn’t have words to put to what I was feeling. I still quite don’t but I want to try. Right now I feel lonely. I feel lonely all the time. I feel lonely even when I’m surrounded by people that I love and care about and I know they care about me too. I’ve been trying to stay busy and to surround myself with friends and fun but, even when I’m seeming like I’m having fun, this miserable mindset winds up creeping to the forefront. And then abruptly, nearly the instant I’m alone, it’s like as quickly as my fingers can snap, I feel defeated, isolated, disengaged. My mind goes into a compete frenzy and things start moving so quickly it feels like I can’t keep up. It’s like children are bouncing a ball on a playground (inside my mind) and the instant my eyes track the ball it bounces someplace else. That’s what overwhelmed feels like to me. And then like an elevator dropping flights too quickly, I hit rock bottom. That feels quiet and cold. I’ve been noticing there’s a deep and loud sense of “wanting” that I can’t shake. And, I find myself continually “missing” something. It feels like I’ll never it get back. In a way, I’m grieving that type of loss. I’ve lost the spaces where I felt supported, confident, and like I had a purpose. I feel like I’ve lost con trol and I’m losing sight of myself over and over again. I get this feeling multiple times a day. And every glimpse of normalcy that I encounter quickly diminishes and is replaced by intense, immobilizing sadness and isolation. I can’t recognize myself anymore and, in moments where I feel like I’ve “found me” I too quickly remind myself that this won’t last long. Usually this feeling lasts just about as long as it takes to take a deep, satisfying breath and realize that for a moment I can breathe again. That realization makes even a glimpse seem like I’m watching someone else’s life from the sidelines. I miss my support networks – those things gave me more than I ever realized at the time. Those things kept me going. And these days it’s more about “keeping up appearances” or “putting on a show” than anything else because I just can’t escape my own head. I can’t ignore what I’m experiencing. This feeling is so absolutely pervasive, so persistent. Now that I’ve given just the smallest amount of attention to and named these feelings I’m experiencing major flooding. For example, I’ll be reading for school and suddenly find myself just completely exhausted because I’m not even reading I’m just staring blankly at the page, flipping mindlessly. Slowly my pace will crawl to a halt. That’s when I realize I feel so bad I can’t even focus on my work. In those moments, I’m not even focusing on how badly I feel, I’m simply numb. My mind is blank and dark. In an intentional effort to ignore these feelings and seek control I’m justifying and encouraging myself to add more obligations, responsibilities, and commitments or to harness control in any aspect of my life I can. Then I grip tightly so I don’t lose that thing too. I’m slowly shutting myself down completely. It’s no wonder I haven’t been able to write anything recently. I spend my days feeling so small and then I perpetuate this feeling, let it sink in, by minimizing my these negative feelings, telling myself “it’s not that bad”, expecting to just “tough it out”, and not attending to the experience I’m having. I am taking this moment to admit that this is real and it is really hard. I’m taking this moment to own this. I am struggling. Lately, every time I leave class I’m in a bad mood. When I walk home I call a friend and typically I spend the next twenty minutes complaining. When finally do stop I realize I’m exhausted. I am tired from the daily narrative that consists of me explaining, perhaps defending, why I hate this school. Every day. I find myself talking faster and faster and with each new iteration of that day’s rationale, I puzzle through this roller coaster called graduate school. Ultimately I slam the breaks and reach this abrupt conclusion as arrive at the end of my monologue: “I just want to quit”. For vulnerability (and positivity) sake, I don’t hate EVERYTHING at this school. And while I’m apprehensive to admit it the redeeming qualities of my experience thus far may be reasons I don’t actually quit. However, overwhelmingly the biggest reason for not wanting to quit is having to explain my rationale to other people. I realize that my quitting probably won’t influence their lives nearly as much as it will influence mine. I do realize this. You see, I haven’t yet overcome a fundamental tendency of mine to measure my self worth by my perception of other’s approval of my accomplishments. It’s always been about moving forward, about being better, about doing better, about doing too much. Even the choice to come to this school wasn’t a choice. It was the obvious decision I had to make based on the pressure I felt I would endure trying to explain why I picked UConn despite this competitive, glamorous alternative. How could I explain that? And then, everyone’s so quick to respond to my complaints by offering, “this was your choice”. First, NOT HELPFUL! Second, was it really? Was there a choice or were there hours of conversations that backed me into a corner so the decision was forced upon me but we lied to ourselves and called it “obvious”? There was no choice. So then, how could I EVER explain that I quit? Or even, let’s back up, how could I explain why I want to quit? And how could I overcome the feeling that I let so many people down or that I didn’t meet their expectations? For complicating things sake, how do I reconcile that I let myself down or that I didn’t meet my own expectations for myself (regardless of how deeply embedded my personal expectations for myself are reliant on others’ approval)? So that’s where my head is right now. That’s the context for my story today. The world of urban education policy is messy. It is always complicated by game changing insertions of race, class, ethnicity, etc. to the conversation. Tonight, I was keenly aware of my positonality in this conversation but even more than that, I was paying attention to who was “tuned in” and who was “tuned out” when certain people spoke in class. It’s been said that in our own classrooms we replay and represent they very systems we critique and try so fervently to reform. I think that’s true but I think we also can’t help but bring our own biases to the table. Instead of suspending judgement in favor of a collective, constructive learning space we allow these ideas to bleed into the conversation. Each of our pervasive thoughts poison the air making every genuine attempt to contribute vulnerable to quick criticism. Once we put the words out there, the way they’re experienced and interpreted is out of our control. So we take risks. We talk about what we know (or what we think we know). We ask about what we don’t. And the conversation moves quickly. Ideas bouncing from person to person. Defensiveness grows taller and stronger as ideas are upheld or squashed by louder more powerful voices that signal to everyone else what we should agree is important and what ideas we should entertain. Some forge ahead while others lag behind. Some voices don’t even make it out of the gate. In this fast paced intimidating space I felt both inside and outside of the conversation at the same time. It was like I was watching this unfold. It made me uncomfortable. We created and are now maintaining a space where certain perspectives, voices, and opinions spoken from specific individuals are privileged and others are instantly neglected. I felt small and timid. I felt like I needed to defend myself before I started talking. Speaking bluntly, I needed to defend a not subtle implication that because I am white (regardless of my many other minority identities) it wasn’t my place to enter the conversation and my experience (regardless of my preparation, training, or due diligence) wasn’t enough for me to speak knowledgeably about issues related specifically to minority groups. I’m not saying I know their lived experience. I’m not saying my voice is the only one that should be heard. I am saying I deserve to be considered too and not immediately “tuned out” because I’m a white girl trying to say something about race and minority groups. So as the class persisted, I watched as some voices were elevated and others were depressed. I listened to which statements were engaged with and conversely which were simply acknowledged and then moved past. The stage, the arena, tonight was for certain voices. I watched backs turn and eyes roll. I heard raised voices and aggressive tones garner respect while neutrality and curiosity were overlooked. For all the times I’ve walked into class feeling like I could do this, like I was good enough, like I could ask good questions my confidence was quickly, and yet again, crushed by an environment that feels like it is only open to certain peoples’, certain voices’, interjections to the discussion. So, yes I hate this! I hate feeling small and having to defend myself. And no, it’s not because I just want people to agree with me. It’s not because I’m not used to my ideas being challenged. It’s because I don’t respond well to competitive environments. I’m my biggest competition and critic. I’m harsh enough on myself. I don’t need to endure it from others too [side note: I also don’t want to hear right now any sass about the “real world” k, thanks]. When I offer my perspective just know I’ve thought about the alternatives and the misconceptions. And so, in spite of the intimidation I feel I speak up. But all too often, my spoke words don’t weigh up. My intentions get misconstrued and easily ripped apart. Why should I keep trying in this aggressive space? Is it because I have to overcome this to add it to my list of successes? Is it because I don’t value my happiness as much as I value others’ approval? Today I watched intensely what was happening in my environment. I watched who was respected and heard. I watched whose agency was met with enthusiasm and whose attempt was disregarded. I listened. I observed the dynamics. I was disappointed. I want to quit. 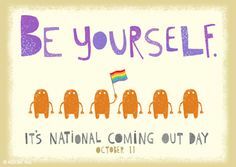 Today, October 11th, is National Coming Out Day! Truth be told, all week I’ve been waiting in anticipation of this day. Actually, I’ve been waiting for months. But, now that it’s here I’m met with much ambivalence. Mostly I’m challenged with the fact that we have National Coming Out Day at all. This is not an original idea – I realize that. The bottom line is if we didn’t live in a heteronormative society then we wouldn’t need this day. Moreover, why do people who aren’t straight need to come out when straight people are just presumed straight? You want to talk about privilege?!?! So framing this day as a privilege, celebrating that someone “gets” to come out is just so unbelievably frustrating. It’s like EVERY other day of the year it’s not your space, privilege, right, obligation, expectation to come out but today it is? And so coming out becomes yours under whose terms? I don’t need to spell this out but even National Coming Out Day operates under the constraints of the dominant, majority groups. So is it really our day? I just wonder, how can we have National Coming Out Day and consider that yet another triumph in the LBGTQIA movement when certain identities are still minimized even within minority communities? 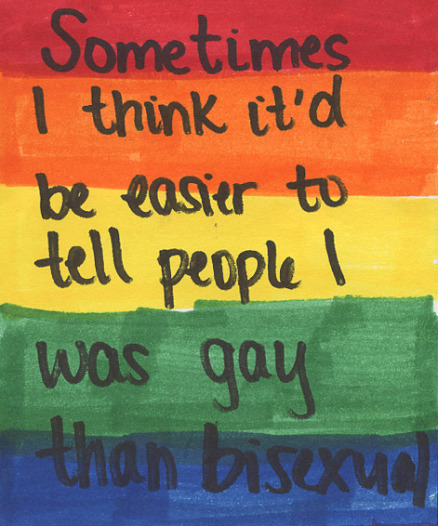 Someone who is Bisexual feels like they should just say the’re gay because it would be easier. 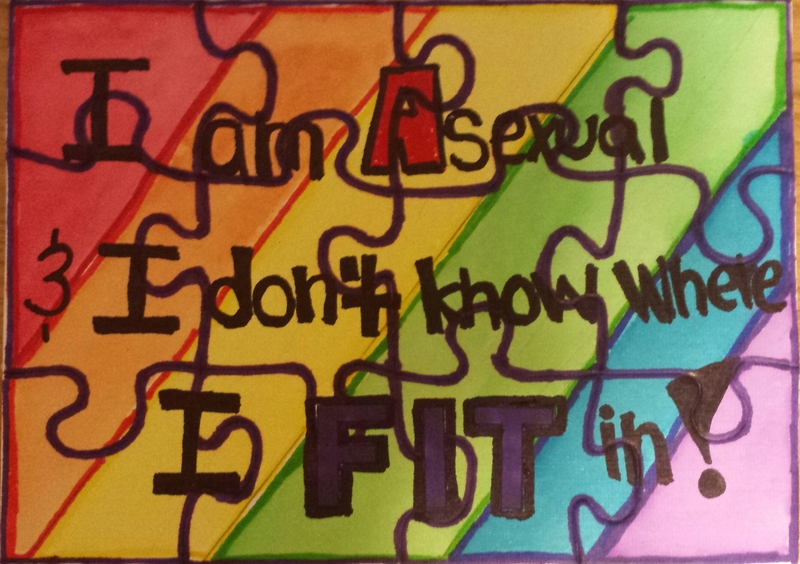 Someone who is Asexual doesn’t know how they fit into the community. [side note: this Buzzfeed video captures that sentiment in a super compelling way: 15 Poignant Asexual Confessions] And then I saw this on Instagram in reference to National Coming Out Day: “don’t you dare come out as an ally”. First, everyone needs allies. Second, this is about the time I want to smash all labels (and all social media). I’m frustrated! These words mean nothing if they’re simultaneously residing in the realms of discrimination and unity. National Coming Out Day is supposed to be freeing. It’s, to me, a demonstration of how large the community is and an opportunity to find support and connections in an unforgiving, hard to navigate world. But instead, I feel like even National Coming Out Day is also being dominated by a majority group. It’s a day for CERTAIN people in the LGBTQIA community. Others stand to the sideline and grapple relentlessly with their positionality. We question “are our identities valid enough to be recognized on this day?” or “have we struggled enough to deserve to participate in National Coming Out Day?” Here’s where it comes back to labels. We decide the meanings we attribute to these words and then we judge. Why should one person who identifies one way fear so violently speaking their label? Owning their identity? Even on National Coming Out Day these wonderings, these anxieties, are real and for some of us they’re amplified. Labels can give us closure but they can also really harm us. I’m thinking here about a medical or mental health (not sure why I made that distinction – ugh society) diagnosis. These labels follow us and while in some contexts they allow us to receive the services and interventions we need to be our best selves in other ways they limit our potential by attaching an inescapable stigma that lingers long after we’ve felt that we’ve triumphed and moved on or overcome one of our many hurdles. Similarly, in the LGBTQIA community labels speak volumes! Among others, they indicate the level of struggle you’ve endured, who you are sexually or romantically attracted to, and who you love. I haven’t talked yet about the third image I saw. It said “Be Yourself”. I liked this one the best but I also wish that we didn’t need motivational pictures on social media to remind us to be ourselves. I wish there wasn’t a day where it was okay to proclaim loudly who you really are and then attach a label to it so other people can make their judgement about you or know how to categorize you. I hope that tomorrow people can still proudly and loudly be exactly who they are and how they identify without any stipulations. Our labels are both constricting and empowering when we first speak our truths. However, once society gets a hold of them, we’re leaving our words to be interpreted differently with each repetition of who we are. The threat of misinterpretation makes me breathe too quickly. On National Coming Out Day I can choose my label but I cannot choose its connotation. That’s scary. National Coming Out Day reminds me there’s still a long way to go in the LGBTQIA movement. We’ve had victories large and small but the whole idea that we need a day for people to say who they are makes me wonder, if I don’t come out today will I have missed my chance? And now, I’ll resort to homework and hiking today to avoid this social media mess of labels and many, overwhelmingly colorful displays of false or fleeting approvals (which I interpret with a certain degree of insincerity) to someone’s real, breath taking proclamation of self. Earlier this week, my friend asked me “how are you?”. Her question wasn’t surprising or out of the ordinary but it got me thinking. In typical fashion I answered “I’m fine. Busy but it’s all good” and then the conversation moved on. I realized that one of the reasons I was “good” was because I hadn’t given any time to myself in the past week. Even running this week was an obligation not an escape. I was “good” because in the midst of midterm assignments and more reading than I could imagine I so easily reverted to a space of neglect for myself and my needs. It’s easy for me to get caught up in my work and ignore myself. A lot of the time, I do this intentionally. I noticed my normal state of complacency and “fine” (synonymous with good) could easily be attributed to my just going through the motions, busy, chaotic, “doing too much” life and I wasn’t respecting myself in the process. For example, this whole week I was sick and I ran more miles than the week before and went to the gym twice. 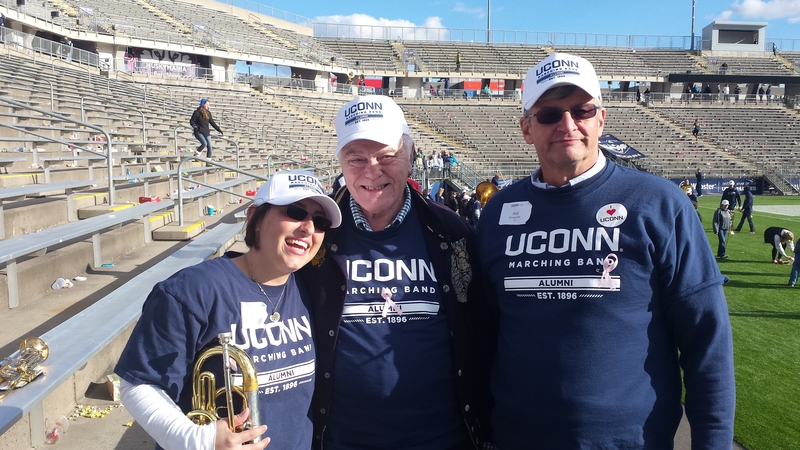 While I was so busy it didn’t feel overwhelming; it felt good and really comfortable. I could stumble along appearing to be reluctantly doing my obscene amounts of work while truthfully appreciating the mountain of reading for the excuse it allowed me. I made a choice to put my energy into anything but myself. I make that choice often. So the lamenting, appearing to be procrastinating, the #gradschoolprobs tweets, they were all a front because I seriously was enjoying the machine-like week I was having. Not because I liked all the work but because for a week, I didn’t have space to feel anxious, to overthink, to consider all the alternatives and interpretations. I turned the “me” part of my brain off and then I could breathe again. Then I remembered, I also hadn’t written in my journal, talked to friends, blogged, posted on Instagram (as much), or had coffee with friends during this time. This project is about accountability and taking those jumps into the unknown and seeing what happens. So now, I’ll get back on track! 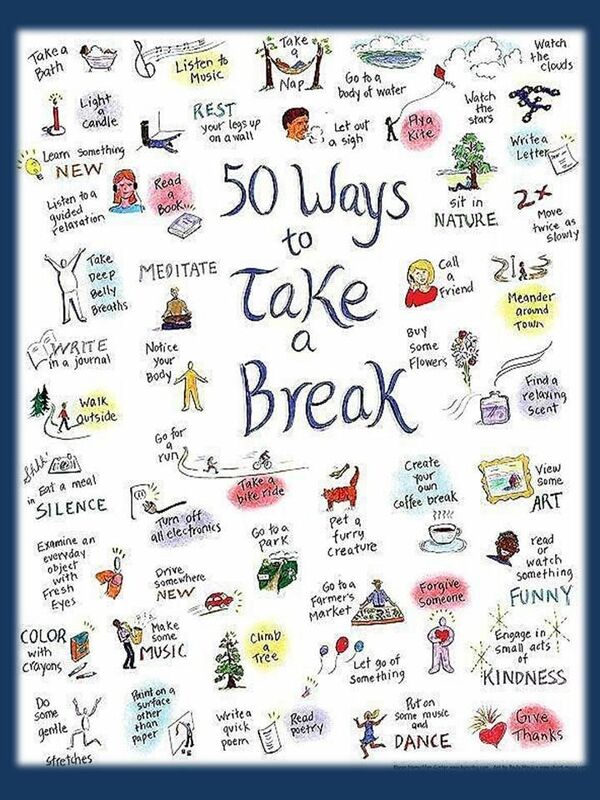 Take breaks! This picture is taped to my desk. Too often I glance at it quickly or cover it with books while I’m doing work. So, instead of staring a the page and then going back to work I’m going to pick an activity and do it. 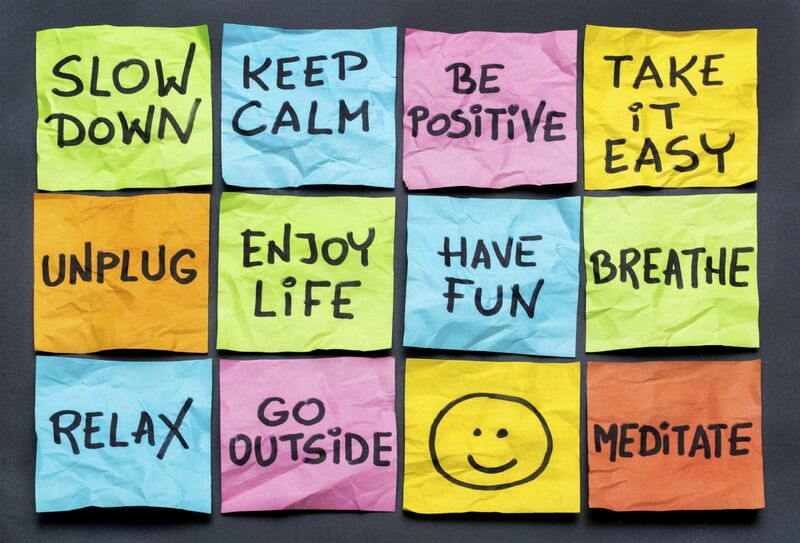 Make realistic to-do lists. My to-do list never has anything for me on it. It’s pages long and always has upwards of 10 things that need to happen. Things often feel urgent for me and so, if it’s on the list it’s getting done and the idea of stopping before it gets done isn’t an idea I readily entertain. So, I’m going to break up my master to-do list into bite sized chunks. I’m going to practice prioritizing and to make it easier, I’ll frame it as a different type of micro-managing of my time. Run only if I want to. This summer I got into the various running challenges on Map My Run. At first it was fun and motivating but I’m not the kind of person who settles for less when I know I can do more so this became less of a fun challenge and more of a necessity (do I need to remind readers I have OCD?). So now, I’m struggling to maintain my weekly mileage and something that once made me feel victorious and strong now feels more like an obligation and just another thing I need to do each day. I want to enjoy running again and I don’t want to feel like a chore or something I can check off just to say that I did it. It’s easy for me to get caught up in how much I did and continue to push myself. I don’t settle for less than I know I’m capable of. I need to consider what I may be missing or losing by cultivating this mindset for running and for my other responsibilities. Like I said, it’s easy for me to ignore myself. I’m often stranger to myself. When people ask me what I want to do with my life, I typically start with explaining what I’ve done since I don ‘t have an answer for them. My measure of myself cannot be contingent on the compilation of what others perceive to be my successes. I need to find space to get to know who I am outside of the quantifiable, resume worthy aspects. I didn’t do that this week but, next week is another chance to do something different and in the meantime I’ll appreciate the opportunity to learn from my missteps and to practice better intentionality moving forward.